Oil ministers in “OPEC+” met in Abu Dhabi this weekend. There were many grades of statements but the overall takeaway was clear: “There will be cuts if needed”. I.e. if there is a “persistent supply glut”. This has been our view all the time. The market has however traded lately as if Saudi Arabia now would sit back and watch an oil market surplus evolve and say: “Well, well, nothing we can do about it.” Saudi Arabia both can and will act. They can because they produced at the highest level ever in October at 10.68 m bl/d. I.e. it is easy for them to cut back a little. Donald Trump got what he wanted to mid-term elections: a lower or at least a dampened oil price which did not fly to the sky on Iran sanctions which fully kicked in on 4 November. Now it is Saudi Arabia’s turn to get what it wants: an oil price from which it can survive. Preferably USD 85/bl but absolutely not USD 60/bl. Saudi Arabia communicated very clearly over the weekend that it will reduce oil nominations by 0.5 m bl/d in December. And voila, there you go. OPEC production down from 33 m bl/d in October to 32.5 m bl/d in December (probably). 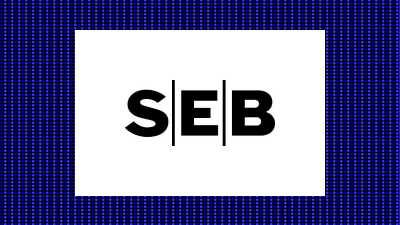 Our projected call-on-OPEC for 2019 is 32.1 m bl/d thus a little more trimming is needed, but not much. Several comments from weekend’ meeting portrayed a situation where Saudi Arabia and Russia are on opposite sides. We don’t think there is all that much of a difference. None of them really want to cut, but both of them probably will cut if needed. Aleksander Novak, the Russian energy minister, stated that we don’t even know if there will be a surplus in 2019. We completely agree. Though we have an estimated call-on-OPEC of 32.1 m bl/d for 2019 the future is definitely uncertain and the global oil market has many moving parts with Libya and Venezuela being big wild cards for 2019 on the supply side just to name a few. Just last week the IEA stated that the global oil market is entering RED-ZONE with less and less spare capacity and that OPEC needs to produce more in 2019 rather than less in order to fend off upside price with reference to reduced supply from Iran and collapsing production in Venezuela. Our call-on-OPEC for 2019 of 32.1 m bl/d is of course fairly muted but it totally disguises the internal dynamics where declines in Venezuela and Iran leads us to a projected call-on-Saudi for 2019 of 10.7 m bl/d though highly dependent on production from the other OPEC producers for example by Libya. The ministerial meeting between the extended OPEC group this weekend clearly launched discussions about production cuts leading up to the official OPEC meeting on 6 December in Vienna. 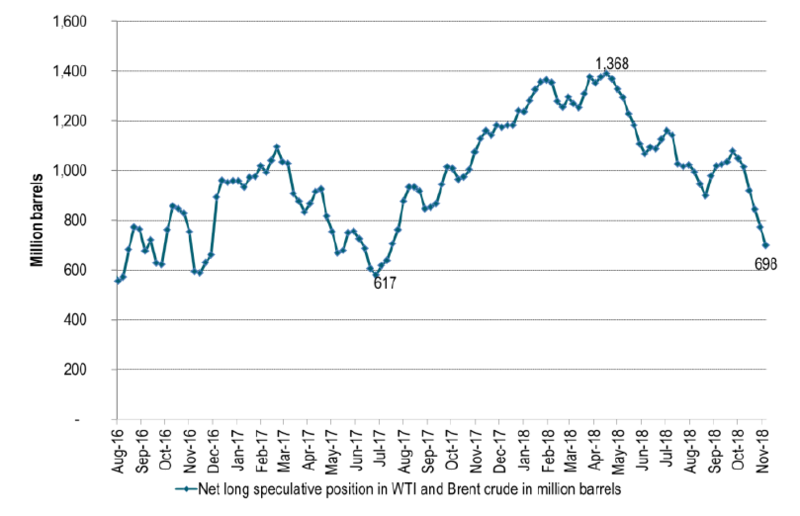 What they all want is to avoid a consistent surplus and stock building in 2019 developing into a contango crude oil market where the spot price trades at a significant discount to longer dated prices. That would undo all of their efforts through 2017 and 2018 to draw down inventories and drive the crude curve into backwardation. It is of course impossible for OPEC+ to predict exactly how much to produce in 2019 in advance given the multitude of moving parts in the oil market on both supply and demand. We thus expect OPEC+ to hammer out a cooperative foundation under which it has the ability to act when needed. It also needs to continue to emphasize its willingness to act when needed. This morning Brent crude has jumped 2% on confidence that OPEC+ will cut if needed but at the moment of writing Brent is only up 1.2% from Friday at USD 71/bl. A continued stronger USD with the dollar index today climbing 0.5% to 97.4 (highest since June 2017) is a clear headwind for crude oil price gains. November month is normally a very strong dollar month. We probably need the USD index to turn to a weakening trend to properly drive the Brent crude oil price higher. 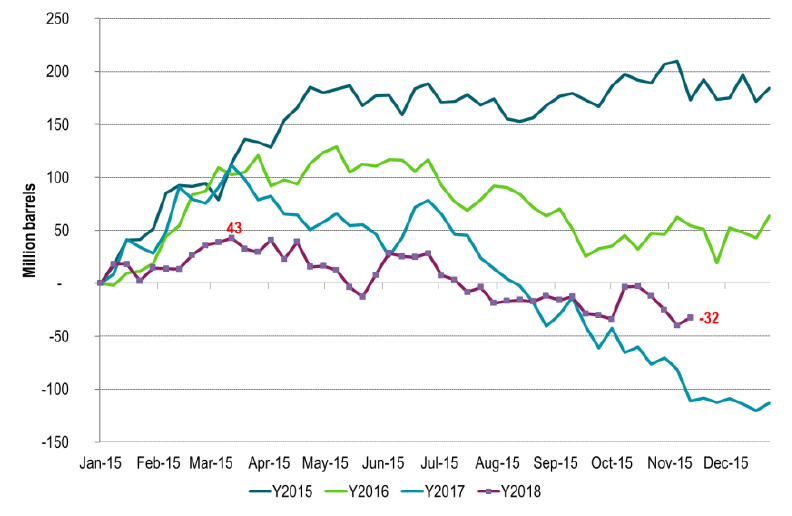 A price floor for the Brent crude front month price has however now probably been set at around the USD 70/bl mark. 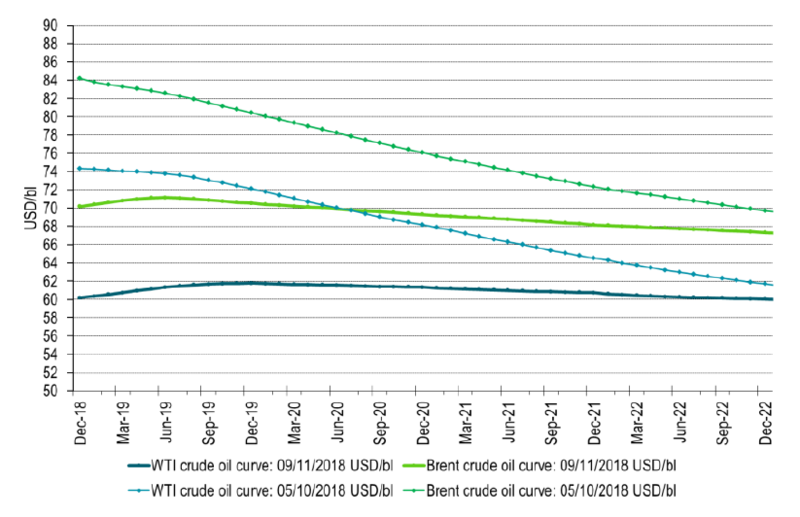 Ch1: Crude oil price curves on Friday and five weeks earlier. From backwardation to contango. Contango is what crude oil producers hate more than anything: Selling at a discount. mostly ticked lower. Inventories in the US have however increased since early October due to lack of pipelines to the US Gulf.